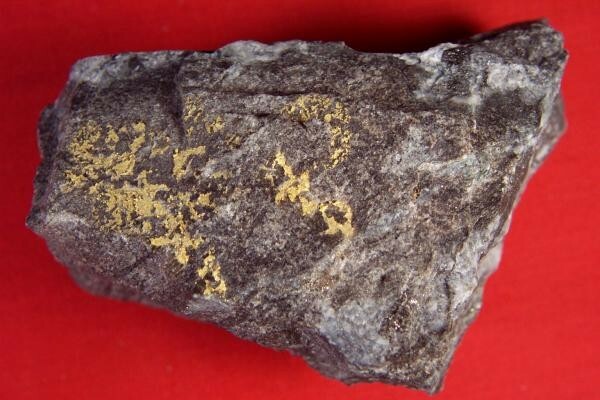 This is a one-of-a-kind rare gold specimen from the Red Lake Mine in Balmertown, Ontario, Canada. It is huge at 17.56 Troy Ounces (546.2 Grams). The size is 3.75" long x 3" wide x 2" thick. 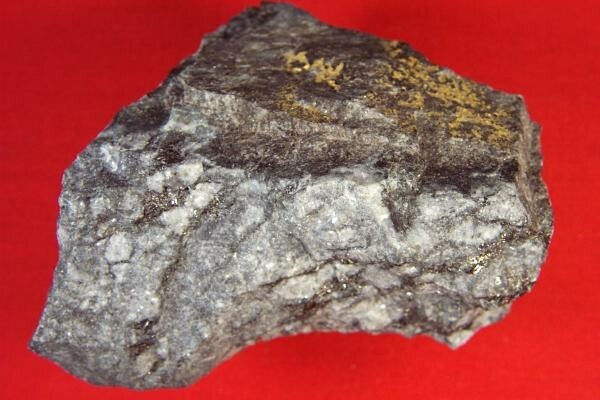 It has some gorgeous crystalline gold naturally layered onto the host rock. 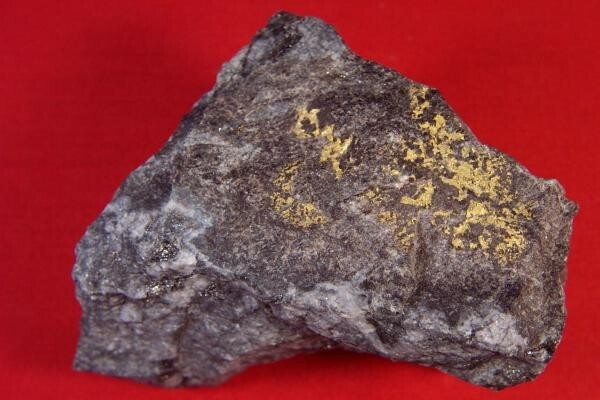 It is rare to see a gold specimen from the Red Lake area for sale, and to see one as huge as this one is super rare. It also contains berthierite. This rare and beautiful gold specimen belongs in a museum, but I believe it's highest and best use would be sitting on the desk or display area of a mining executive or a gold trader or the guy who has everything. He may have everything but he doesn't have a gold specimen like this one yet! What a great conversation piece.